PLEASE SHARE THIS AND GET THIS ONE OUT!!! I NEED YOUR HELP !!! whoever owns this antenna array, needs to know that this array has now been verified to cause a tornado to come to the CENTER of the frequency ring it created two days ago. Here are the coordinates of the array in question, owners unknown as of today 6/20/2011 540pm CST. So if you were watching the College World Series on the evening of 6.20.11, this is what postponed it. Looking northish from the 15th & Jones area. The opening and closing theme for the early 1970s Sunday morning series, Make a Wish. Hosted by Tom Chapin, brother of singer Harry, the series ran for several years. If you can stand to waste your time, the entire 57 page doc reveals other troubling details. Winning the Oil Endgame A plan (332 pages long) to follow detailed and packaged in 2005 or should be known as a Liberal Handbook for Profiteering. More lunacy than should be permitted in one place. After examining both “books“, ask yourself… Is there an agenda, or several, being forced upon the American citizenry at the greatest cost to the American citizenry? Bait and Switch on Demand? A Rogue Congress With Agenda After Agenda! Nope… can’t manage it! Same pattern, different bill! Liberal sneaks! Created by Swizzo @ Columbia University / Barnard College in 2009 as part of Campus MovieFest, the worlds largest student film festival. It’s Mike’s birthday and his friends plan to surprise him with a party. They all wait for him in his apartment and hear how he talks bad about them and makes fun of them. Congress does this video remind you of anything… like your behavior for quite some time? What Has Oceana Done for the World Lately? Backing a Faux Climate Change Agenda for a Bogus POTUS? Have we located a feel good charity work for those in the money? Interesting cast of characters… Oceana’s Board of Directors. By the way, notice something that is blatantly absent~criticism of the Bogus POTUS’ poor response to non-response in the Gulf of Mexico. hmm? Now why would that be? Join the only international nonprofit dedicated solely to protecting and restoring the world’s oceans. Oceana’s campaigns are directed at achieving measurable policy changes to prevent the irreversible collapse of ocean life. Results are achieved through science, law, advocacy, organizing public support, and communications. Manages campaign in New York to stop expanded offshore oil and gas drilling and to promote action on climate change in local, national, and international forums. Builds public engagement on offshore drilling and renewable energy. With direction from Campaign Manager, works independently to execute a campaign plan and carries out the tasks necessary to meet campaign objectives. Tracks timelines, and reports on progress to Campaign Manager. Manages a varied and high volume workload and requires initiative to work on own to meet deadlines and accomplish tasks. This position will be temporary. 1. Build a broad, effective campaign including, but not limited to, grassroots coalition building, earned and paid media acquisition, legislative advocacy, science, public engagement, repeat volunteerism, and development of a self-sustaining and continuing foundation of support. 2. Execute the campaign in conjunction with a team of professionals. This will include working with other field staff, on-line activists, legislative and communications professionals, vendors, consultants and others. 3. Regularly report on progress of the campaign, and lead the charge for overcoming obstacles to ensure goals and objectives are met. 4. Perform additional duties as needed and/or assigned. 1. At least 2 years of campaign experience, with at least one in a management position. This should include experience engaging volunteers and building a foundation of support for a policy outcome. 2. Demonstrated success building, and cultivating new relationships in a way that persuades individuals to support the organization’s agenda and generates measurable results. 3. A proven track record in grassroots field organizing and public speaking. 4. Experience in coordinating media relations. 5. A track record of being detail oriented, with good organizational skills and follow-through. 6. Demonstrated initiative to self-motivate, to work with diverse communities, serve as a team leader, and achieve Oceana’s goals. 7. Excellent written and verbal communication skills and an ability to multi-task. 8. Computer literacy, particularly with Microsoft Office applications. 9. An ability to work well with others. Please send your cover letter and resume to mdundas@oceana.org with Campaign Organizer – Climate and Energy Campaign in the subject line. Check out our website http://www.oceana.org to learn more about who we are and what we do. EOE. Cheap ad, cheap pay, speaks volumes! Both are costs of doing business and deductible? Hmm? CAP and TRADE is like putting the groceries, shovel, fishing tackle, linens, and everything else into that “cart before the horse”. The horse can’t push that overfilled cart. The Gulf Oil Spill/Spewing is a historically disastrous man-made release of gas, oil, and other toxins into the water, land and air on a continual basis – that can not be regulated. Why even try to regulate any other form of energy or usage at this point? It is a lost cause and the dimwitted Democrats must now be fully aware, unless, they have come to believe their own scripted spin! This isn’t some game of “Who Wants To Be A Trillionaire” and Al Gore should not be the star player to cash in. Just who will decide and when, who is the greatest contributor of Green House Gas (aka the biggest load of BS), and what the penalty for same ~ when the planet, via the hole in the Gulf of Mexico, is emitting extreme quantities of gas into the atmosphere. Who in the United States of America, stands to gain financially, from passage of the CON that is nicknamed the “Cap and Trade” bill? Maybe Al Gore Purchases Carbon Credits From A Company He Himself Owns? And more to be listed over the coming days, weeks and months! Maybe Report confirms 2009 voluntary carbon market slump? Maybe Save the Planet – Buy it! NOTICE HOW NOBODY EVER CLAIMS TO KNOW ANYONE ELSE EVER? But there are always ties that bind! Does anyone believe the Founding Fathers had in mind, circumventing, when they built this Republic? Neither do I! This site says it all in the first sentence: “The Chicago Climate Exchange (CCX) is a voluntary GHG emissions cap-and-trade scheme based in North America…” and on another link we find Marine Sequestration. hmm doesn’t that diagram look faintly familiar? Inconvenient Youth http://ow.ly/1BLMU Love the shame that name will bring, omg……….lol Parents don’t let you children be inconvenient! What a sad attempt at resurrecting his reputation on the back’s of teenagers. 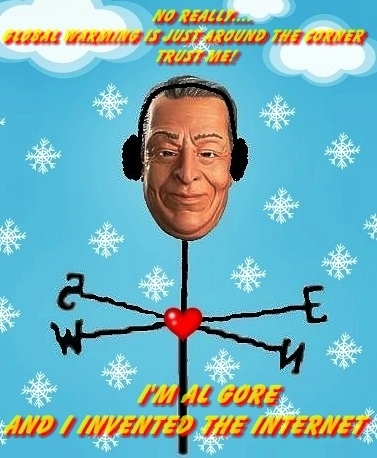 By the way Al, shouldn’t you be working on some cash refunds, an Oscar return, and a Nobel return? There’s even a mention on site about the recent downtime episode with promises of further information. Curious minds wonder, especially since Copenhagen is in full swing? hmm?